Were you lucky enough to be one of our many winners for all of our previous Swype contests? Got even more lucky to somehow land yourself into one of the unfilled spots on their primary lists? Remember we leaked there was a update coming? 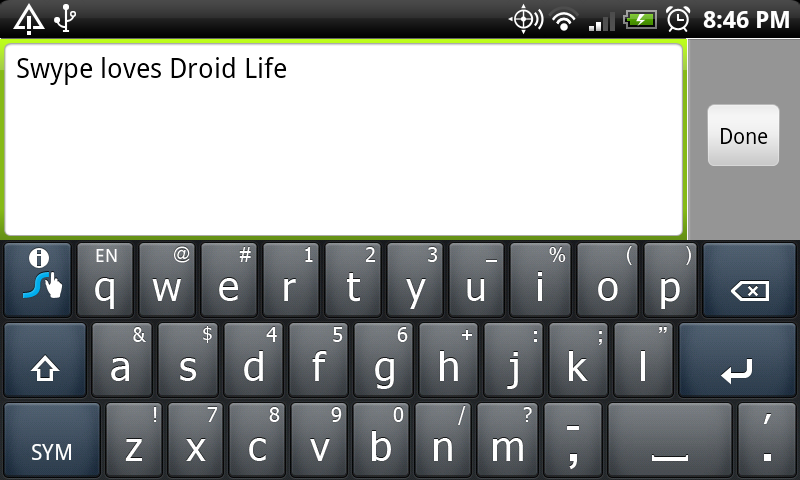 Well the time has come once again for Swype to upgrade. Some much requested features are now available. Speech to Text, Double Tap to Edit, and even some more accuracy issues. But this also touches another subject that I will hopefully have the chance to touch basis with soon here at Droid-Life. Updates – Whether they be for ROMs, apps, or software in general. Some seem to update constantly, and some quite seldomnly. I am always confused when people say they can’t stand the constant updating. Don’t you want your apps to work correctly? But that’s for a later date. If you’re on the BETA team for Swype, go get some! Check the whole forum post here: Swype Forums.